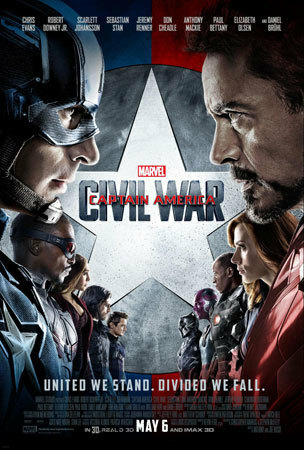 Based on the Civil War comic series which pits two favorite characters against each other – Captain America and Iron Man. Read KIDS FIRST! 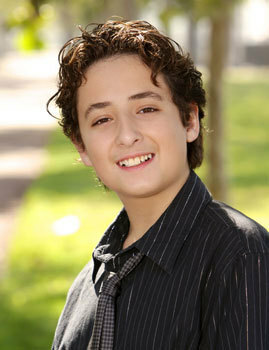 film critic Gerrys movie review on Kidzworld! 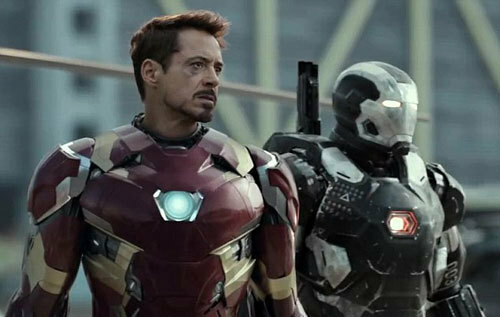 Captain America: Civil War can easily be considered an action film, but it doesn’t stick to just that. The dramatic plot excites with careful writing and spectacular twists and turns. Of course, there can never be a superhero film without jokes here and there, but they don’t push it over the limit and keep the audience entertained. The length of the film is very long (142 minutes) with many characters and with that Captain America: Civil War still ends up being so far, one of the best films of 2016. 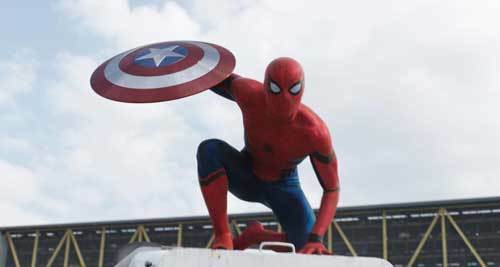 Captain America: Civil War starts off with several Avengers attempting to stop the robbing of a strong bio-weapon. The mission’s going well, however, Wanda Maximoff (Elizabeth Olsen) accidentally kills dozens of civilians. The avengers must now sign a document saying that the UN (United Nations) can dictate where and what to do. The event becomes a disaster when a bomb goes off outside their headquarters. The Avengers are now split. Tony Stark/Iron Man (Robert Downey Jr.) agrees to accept whatever the UN has to say and not interfere. Steve Rogers/Captain America (Chris Evans) wants to find the terrorist. Eventually, this split gets worse and worse. To find out who wins, what happens and who ignites the bomb, you need to watch the film. The length of the film may be one big thing about it that some people will see as negative - two and a half hour run time can be trying. However, it perfectly fits this film. The plot unfolds as very thick, complex and long. To try to squeeze it in a shorter run time would make the story feel rushed and confusing. There are other negatives to this film. 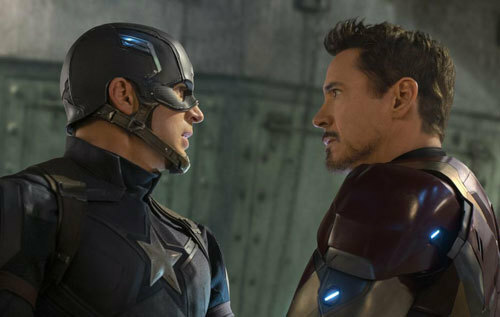 Much like Captain America: Winter Soldier, the fight scenes go way too fast. Camera shots are only a split second long in the most intense fight scenes, making it very hard to understand what’s going on. On top of that, there are a few plot holes in the film. And then, the viewer comes to the point that defeats all the other negatives: the final fight scenes. These fight scenes between characters combine exciting soundtrack, emotional acting, spectacular visual effects, smooth choreography and more. At times, up to 12 characters fight each other in the same scene and the end result is nothing less than epic! My favorite scene features one of the fight sequences. It takes place in an airport with so many different superheroes including Black Panther, Spider-Man, Ant-Man, Iron Man, Captain America and many more. The feeling the viewer gets from it can only be called pure adrenaline. There many exciting moments in this film, but these perfectly put together fight scenes are easily the most exciting. The film is not meant for young kids in the slightest. I recommend it to ages 13 through 18. I give it 5 out of 5 stars because, despite a few flaws - dramatic interactions between characters, emotional acting and nothing less than perfect fight scenes easily make up for those flaws. Are you team Captain America? Or Team Iron Man?